Out of sight, out of mind happens to be many gardener’s approach when dealing with plant roots and underground organs. Many would suggest anything growing underground to be considered root structure. But this assumption is incorrect. Certain plants have modified organs such as stems, leaves and scales that grow underground as well. Bulbs, corms, rhizomes — many of these underground organs can be difficult to distinguish from each other. So let’s shed some light on this underground world. Bulbs are considered shortened, compressed stems that are surrounded by fleshy scale or modified leaves. An excellent example of bulbs would be onion, garlic, shallots, daffodils and tulips. Take an onion, for instance. Cut it in half, and you can see at the basal section of the onion is an area that is the compressed stem with modified leaves surrounding it. 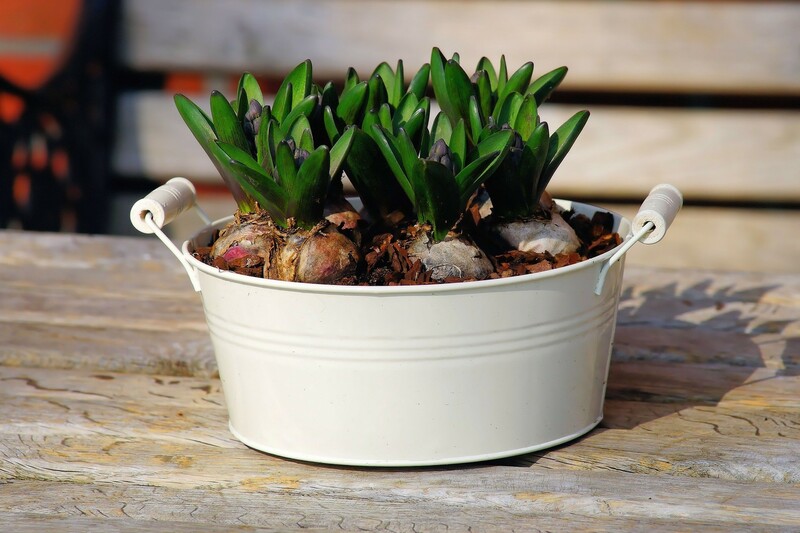 Bulbs are more often found in climates that tend to have moist springs, which trigger the bulb to grow foliage above the ground, and summers that tend to be very dry, allowing everything above the soil to die. This helps to preserve life underground within the bulb so it can grow again the following spring. Gardeners are able to grow many bulbs very well in south Louisiana. The problem is keeping them alive in the ground year after year. Oftentimes our winters are far too wet. This can lead to the bulb rotting over the winter and not returning the following spring. Corms, on the other hand, are similar to bulbs but lack the fleshy scales or modified leaves that a bulb would have. The gladiolus and crocus are prime examples of corms. True bulbs tend to grow and increase in dimension from seasons to season while corms replace themselves completely every season. These new tubers sit on the older, desiccated ones and will be the producer of foliage and flower the following season. Another group of plants that depend highly on the underground storage organs are tubers. This group can be easily distinguished from bulbs and corms because they produce multiple shoots and more often than not they are irregularly shaped. Whereas bulbs and corms will typically only have one growing point, tubers have many. Potatoes and cyclamen are great examples of tubers. If you've ever left a potato in the pantry too long, multiple eyes or buds will begin to sprout. These are the beginnings of new plants. Rhizomes, which are closely related to the tubers, are a group of plants characterized by swollen stems that grow horizontally. Though these underground stems are unspecialized organs, they are highly effective storage components. Plants such as irises, cannas and gingers fall into the rhizomes arena.